You know you want a medical career, but aren’t confident your high school curriculum is preparing you for it. You may even be unsure what type of healthcare career you want, so the curriculum question is more confusing. You get bombarded with options – far too many to name. You may feel pressure and stress about making decisions right now. How can you without more information? This article will help you make informed decisions about your medical career opportunities and what curriculum in high school best prepares you for any career in the health sciences. It will also outline curriculum you can expect to see in college-level healthcare programs. Is There a Future in Healthcare? You’ve probably heard how Generation Baby Boomer is in need of health care. Pharmaceutical ads on television are as prevalent as car ads. But anecdotal evidence may not be enough to convince you of the ongoing, and increasing need for all kinds of medical professionals. So, if you’re thinking about healthcare as a profession, you can be confident it’s good direction for your future. Can You Prepare for a Medical Career While You’re Still in High School? Most medical fields require education beyond high school. Nevertheless, high school can provide a good foundation for any health science career. If your high school offers a curriculum that prepares you to enter college, or even allows for advanced placement that can also provide college credit, that’s the curriculum path to take. Some preparatory courses may not appear to be directly related to the medical field. However, they are because they give you the foundation you need to be successful in college, and in your career. English (basic, practical and written communication) – all four years. This includes composition and literature. These kinds of courses improve your communication methods as well as allow you practice critical and analytical thinking. You must have these skills when going into a medical field. Math (algebra, trigonometry, calculus, statistics, and geometry) – all four years. Math courses follow a linear pattern. Most medical fields require you to use math. This can include counting pills as a pharmacy technician to writing code for medical health record databases. You don’t have to love math. You simply have to know it. Science (biology, microbiology, physiology, anatomy, physics, chemistry) – all four years. All medical fields require you to know anatomy and physiology and a certain amount of biology. To provide direct care to patients, or even know how to fix machines that test patients, you have to understand how the body works. Then, depending upon your entry-level position, or advancement beyond that, chemistry and microbiology come into play. Spanish – two to four years. While your high school may offer other foreign language options, if you are serious about healthcare, being able to communicate in Spanish gives you an advantage over English-only speaking candidates. It’s far easier for some whose native language is Spanish to tell you what’s wrong with them in their own language. Since you want as much detail from them as possible, knowing their language makes you a better employee. Advanced Courses – Not every high school offers advanced placement. But if your does, take one or more classes at an advanced, or college level. English, math and natural sciences courses best prepare you for a medical field. If your high school offers electives, take some soft science courses like psychology or sociology. In the alternative, take some business courses like accounting, marketing, or organizational leadership. All of those support the courses leading to healthcare careers. You will see them again at the college level. When in doubt go with a STEM course. STEM stands for science, technology, engineering, and math. Every one of those disciplines are found in the medical field. Medical Career Specialties – College or Not? Imagine you are in your junior year in high school and looking at colleges. You know you want to go into healthcare, but aren’t sure what kind of job you want. Your options are limitless. The first thing you want to ask yourself is how quickly do you want to get to work? If you ‘re going to be a doctor, dentist, chiropractor, pharmacist, or other highly trained professional in a very specialized field, it could be eight or ten years before you’re practicing. These careers are very rewarding, but take a lot of time. If you prefer to get into your field of choice sooner, don’t worry, there are plenty of other careers available in healthcare support occupations. Even if you don’t want to provide direct patient care, or hate needles and blood, there’s plenty of room for administrative and computer specialists. If you’ve taken the recommended high school preparatory curriculum, you’ll have a firm foundation entering the next level of education required to secure your dream job. The only limiting factor you face is knowing your options and picking one. What Courses Are Common to Most Entry-Level Medical Careers? Once you’re in college, you may wonder what you need now. Registration for college classes can be done for you once you pick field or job to concentrate on. If you’re still unsure what kind of job you want in healthcare, you can always select beginning curriculum common to many medical positions. Anatomy and Physiology – In the case of dental and medical assistants, this will be a single semester course giving you an overview of bodily functions. In the case of professions like nursing and surgical technology, this area may be split into two or three courses which you’ll take over the course of a year. If you elect to go into physical or occupational therapy, the anatomy and physiology courses will be functional in nature. In other words, you will spend more time on how the body works and how it can adapt if certain parts of the body don’t. Medical Terminology – For many students, medical terms, especially pharmaceuticals, are new. Spelling them correctly and knowing their abbreviations are crucial, so a particular course within the curriculum is required. Medical Ethics – Decades ago Einstein said that our ethics have not yet caught up with our technological advances. That’s still true today. While his quote doesn’t cover all the elements of ethics, knowing the most ethical choices to make in the medical field is an important part of your education. Generally speaking, you’ll be given a story of something that happens in the medical field. Once you’re familiar with the scenario, you’ll be asked questions about how you would handle it. Then you’ll talk about the choices people have made in the past, and could make in the future. It’s easy to make the wrong call when you’re starting out, but far easier to review options in the safe environment of a college than in a real-world situation. Biology/Microbiology – There is no getting around the need for one or both of these courses in a medical curriculum. If you’re wondering if dissection is involved, sometimes it is. More often you’ll study pre-made slides. You’ll see how blood looks under the microscope, how diseased cells cause abnormalities and even how medicines may correct chronic conditions. Medical Administrative Practices – Although doctors’ offices, clinics and hospitals have their own way of doing things, there are some standard practices similar from place-to-place. Curriculum courses of this type give you introductory information on about typical practices so your first day on the job won’t feel so alien to you. Medical Math and Calculations – Here is math, again. That’s why it’s important to have as much math as possible while you’re in high school. Medical math courses teach you math unique to the medical field. If you are dispensing medications as a registered nurse or a pharmacy technician, you’ll have to know how to calculate and measure dosages of pharmaceuticals. You will have to know how read the injection measures on a syringe. You may also have to know how much saline solution, or other life-saving drug a patient needs during a hospital stay. In this case, if a doctor has written it on a patient chart, you’ll have to know what the measurement means and how to dispense it. Phlebotomy & Hematology – These courses are not across the board, but are common in medical assisting jobs which are prevalent in the health industry. If you particularly like this kind of curriculum content, you may choose to branch off into phlebotomy. Patients always appreciate a kind, compassionate, and fantastic phlebotomist. Clinicals – Clinical, fieldwork, or externship courses are a necessary component of all medical curriculums. Some professions, like nursing, surgical technology, occupational therapy, or even health information system technicians have required numbers of hours you must work in the field in order to graduate and take licensing exams. Those hours range anywhere from 500-1200 or more. Your college may help you find these placements and they replace or may be in addition to classroom hours. These courses allow you the opportunity to practice everything you’ve learned in your degree program while still under the guidance of the school system and specialized mentors. In the case of nursing, occupational and physical therapy and surgical technology, you’ll have certain rotations you have go through, just like doctors. You may experience a pediatric rotation, an older adult rotation, or a cardiovascular rotation. The advantage of so many hours in so many different departments is you can get a taste of different options available to you within the field. If you like to work with kids, you’ll know that at the end of a pediatric rotation. If you don’t like to work with children, you’ll know that, too. What Are Some Examples of Courses/Curriculum for Specialized Fields? Surgical Technologist – This specialization delves into surgical techniques, surgical procedures, pharmacy for surgical technologists, and even advanced surgical techniques. Many of these are performed in college labs designed to look like the actual operating rooms you’ll be working in. Occupational Therapy Assistant – In this professional curriculum, you’ll be introduced to practices in therapeutic media, intervention in pediatrics and adolescents, intervention in neurological rehabilitation and intervention in geriatrics. These are only two examples. Ever medical degree program has specialized courses unique to those practices. All of them will be in your “major,” which is the program you’re in leading to the job you want. What About General Education Courses? Like it or not, general education courses are required in college like they are in high school. They are important to being a well-rounded, thought-provoking medical professional. Each one in your college curriculum supports the courses and future practices existing in your major, or field of concentration. Some, like composition, literature, psychology, and algebra are in almost all medical programs. But others, like statistics, physics, business communications, or even database applications are included in programs where they best support the vocation. For example, physics is not a good supporting course for a medical assisting curriculum. But it is a great supporting course for biomedical equipment technology, which is a computer/electronics medical field. Can You Get a Degree in One Program and Then Use it to Move into Another? While taking the courses common to many medical degrees, you may draw the conclusion that you can get a degree in one medical discipline and then transfer your courses into a different medical program. 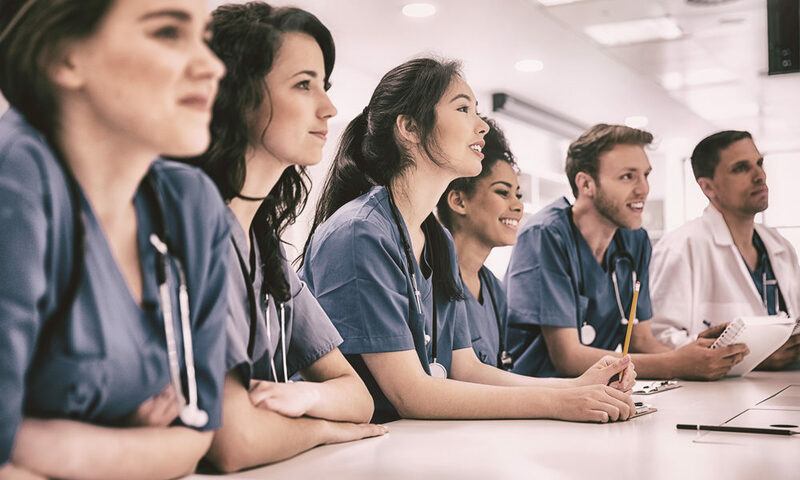 For example, college freshmen may believe they can obtain a degree in medical assisting, or surgical technology, and then transfer those courses into a nursing degree. Sadly, this is not the case. Today’s world of science and medicine are highly specialized. It is rare for the curriculum in one specialized program to transfer into the curriculum of another one. More often than not you’ll find yourself taking many additional medical courses. Let’s use medical assisting and nursing as an example of what this kind of mistake could look like. Nursing programs don’t have much overlap into any other medical curriculum. With the possible exception of a psychology course, medical assisting courses do not transfer into nursing degrees. You end up doubling your time in school and maybe tripling your tuition expenses. If nursing is a career you are serious about, don’t stair-step into it. Go straight into a nursing program. The same is true for dental assisting, surgical technology, occupational therapy assistant, or even medical administrative programs. Research what you want to do, then go for it. What Medical Careers Involve Computers and Technology? What if you don’t want direct patient care? What if blood, needles, or other medical situations make you feel faint? Are there still healthcare jobs for you? Absolutely. One ever-growing field is biomedical equipment technology. This is actually an electronics program that allows you to work with machines in the medical field. Since medical equipment is far too expensive to replace, hospitals require people on staff, or even outside specialists, to fix the machines that break down, need to be cleaned and/or routinely maintained. Initially, you will take some standard medical curriculum like medical terminology and anatomy and physiology. Beyond that, you’ll take electronic and computer courses such as fundamentals of electronics, solid state electronics, and biomedical technology and instrumentation. General education courses are in this curriculum, too. One important characteristic of an individual going into this field is the ability to communicate with all kinds of employees. Many general education courses give you the skills to do this. You have to be able to tell upper management what’s wrong with the machine, how long it will take to fix, and the cost of parts and labor. You may also have to show employees how to use new machines that you’ll install and maintain. If you don’t want to involve yourself in equipment repair, there are health information technicians. These are individuals who maintain electronic medical records. You may even want a career in the computer network security department, or medical billing and coding. There are also medical transcriptionists and insurance specialists. The curriculum for these programs are all mainly computer-based and technical in nature. Individuals in these positions provide vital support to direct-care professionals in hospitals, offices, and clinics. What Medical Careers are in Business Administration and Management? If you are a person interested in managing a medical department, a skilled or assisting nursing center, or even running a home healthcare business, there are multiple opportunities for you. Any position existing in the business world can also be found in the medical world. The difference in curriculum is that instead of general business courses, the business courses will be specific to the medical industry. Curriculum for these vocations can be found on-ground, or on-line, and rarely, if ever, include direct patient care. While there are associate degree programs in healthcare administration, gerontology, and medical executive assisting, if you want to go into mid- to higher-level management, you’re probably looking at a four-program. In a four-year program, the first two years will consist of basic medical courses such as medical terminology, medical ethics, and some classes about human diseases. You will also take many, if not all of the general education curriculum common to most associate degrees. Once you get into the last two years of a four-year degree, the curriculum gets right into the heart of healthcare management. You’ll learn about the many healthcare delivery systems, issues in public healthcare, the economics of healthcare, and even healthcare marketing. You’ll learn about finance as it applies to medical care. Added to this will be human resources and payroll. Risk management, a form of insurance, is something else you’ll be introduced to. By the end of a medical business program like this, you’ll have encountered most of the practices and information you’ll see on the job as an entry-level manager in healthcare. If you want to go into business for yourself (such as running a home healthcare agency), you may want to take a few additional courses such as entrepreneurship, marketing, advertising, and labor relations law. There are more basic courses, too, such as setting up a website and establishing yourself as a sole proprietor. Curriculum in these areas is available at many colleges. For all medical professions, the ability to speak Spanish will put you ahead of your competition when looking for a job. Understanding basic Spanish or even enough to understand if someone’s arm, or leg, or throat hurts provides you with intrinsic value workers who only speak English won’t have. In high school take your Spanish courses seriously and take all that are available. Can I Become a Doctor, Physician’s Assistant or Nurse Practitioner? The answer is YES. But becoming any of these, or a neurologist, or surgeon or other type of professional in these areas takes many, many years. In some cases, you’ll have to take qualifying exams in order to get into the various post-graduate schools. Curriculum in these programs is rigorous and intense. Like with entry-level medical professions, do your research first. Determine if you have the time, and finances, to pursue any of these careers. If you can’t do it immediately, start out smaller. If you want to be a nurse practitioner, go into nursing. If you want to be a dentist, become a dental assistant. If you want to become a pharmacist, become a pharmacy technician. Double-check that the curriculum flows from one into the other so that you are not taking unrelated courses. However, transferring in credits from one of these programs to another may not be possible. That’s why research is so important. What if You Want to Work with Animals? Working as a veterinary technician is a very popular entry-level vocation. In some cases you can even start out with a high school diploma. Nevertheless, while many veterinary practices will hire veterinary technicians with a high school degree, you’ll have more value as an employee if you get an associate’s degree in veterinary technology. An associate degree may enable you to take a national exam. Passing it gives you the edge over someone with only a high school degree. College-preparatory curriculum for working with animals is no different than what you need to work with people. Biology, anatomy and physiology, pharmacology, algebra (or other math courses), and general education courses are the same ones as for all the other medical professions. When you get to college, curriculum requirements change. The courses you need are geared toward animals. You’ll learn the anatomy and physiology of animals, and what types of pharmaceuticals to use with them. You’ll even help with surgeries on animals just like a surgical technologist does for people. How Do You Know if a Medical Career is for You? There are certain characteristics you need to possess if you are going into a medical career. There are some you need if you expect to provide direct care to patients. Others are required if you don’t expect to interact with patients very much. There are also some common to either type of position. The chart below helps you know which category of healthcare works best your personality and preferences. Empathy – The ability to understand the point of view of the patient, or the patient’s family. Technical knowledge and skills – There is some technology all people in the health sciences have to use. However, individuals providing indirect care have to know how to use computers, medical equipment and all kinds of software. Excellent communication skills – Communicating both verbally and on paper to patients, colleagues, upper management or other types of employees is vital in health care settings. Offering support for decisions made by patients or their family – There are reasons people refuse medical care. When they do, you don’t have to understand it to support it; and you’ll be expected to provide it. Good management skills – A health care professional must be self-motivated and require minimal supervision. You have to manage yourself, and sometimes you’ll have to manage other people. Detail-oriented – Writing details in a patient chart, or reviewing dollars and cents in a financial spreadsheet, or fixing a piece of medical equipment requires attention to detail. This skill will be used daily. Engage in continuing education – Almost all medical professionals dealing directly with patients must be involved in continuing education. You must be willing to learn new things in your field all the time. Focused on results – Whether it is reaching a financial goal, a compliance goal, or computer deadline, most medical jobs are about results and your performance will be measured by them. Ability to work with teams – Many people are involved in running medical organizations. You have to work with all of them in many roles. They’ll possess all kinds of personality traits and opinions. High tolerance of differences is necessary to people in medical careers. Giving freely of your time – No patient wants to feel rushed or brushed off. Even if you feel stress and pressure, you must be able to give as much time to a patient as he or she needs. Ability to handle conflict – In positions that provide indirect medical care, you are apt to hear complaints. You must be able to address them without becoming frustrated or angry. Excellent follow through – Do what you say you’ll do. Good coping skills – Some patients may discover they have an illness from which they can’t recover. From time to time you’ll face these uncomfortable situations. They are stressful, and you’ll have to find ways to cope with it within your own support system without expecting the patients, or their families, to help you. Initiative – When you see something needs doing, and you can do it, then take action. Don’t wait to be told. Patient care – You must be able to physically interact with people. You may be asked to give a shot, draw blood, or even work with blood in an operating room (e.g. a surgical technologist). If these situations make you uncomfortable, you will find direct patient challenging. Sharp problem-solving skills – The medical industry is all about solving problems. You have to be able to provide solutions to problems whenever possible. Ethical behavior – You are dealing with people and accrediting and compliance regulators. You must always behave with the highest standard of ethics. Flexible and adaptable – The medical industry is always changing. You have to be willing to adjust to changes and minimize your resistance to it. There is no doubt that healthcare is an ever-growing field that you can go into regardless of your interests. While you never to have to stick with anything forever, having a solid idea of where you want to start sets you on a path to success much sooner. Determine if you have a set of characteristics that allow you to be successful in the healthcare field. Take college preparatory courses in high school. When choosing electives, place your emphasis on science, math, and other STEM courses. Talk to different medical professionals and ask them what they like about their jobs. Plus, ask what they would have done differently early on when choosing their field. Talk to your guidance counselor or other trusted mentor. Find out what you need to do now to prepare for later. 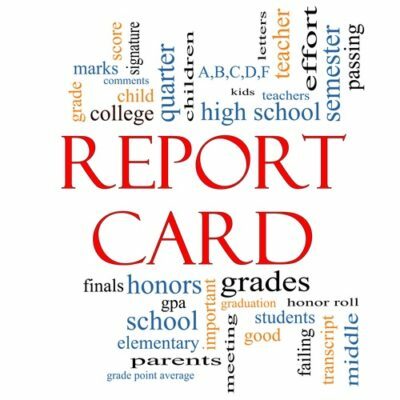 If you weren’t planning on college, remember that college admissions boards look at later trends in your high school career; not what happened when you first started high school. It’s never too late to go in a different direction. Join professional medical associations open to students. Members of these groups (or forums) are very helpful. Networking is a valuable tool to learn now. It will serve you well when looking for a job later. Research, research, research. This means research the field, the job, potential salaries and career trajectories. Take and keep notes. Make your decision with as much information as possible. Carefully consider various college options. If you are going into direct patient care, you will need to attend an on-ground college. If you are going into computers or administration, you may be able to find an online college. Try to select a college that provides career services when you’re nearing your graduation point. Employees working in career assistance departments know more people than you. Their help will lower your frustration levels when looking for your first job in your field. Find out about financial aid that may be available to you in college. Apply for grants and scholarships. Follow through immediately on tasks given to you by employees in this campus department. Establish a support system for yourself, including how to get to and from a college campus. Not having a support system may delay entry into your field. Follow your dream and dedicate yourself to it. If you have done all your homework preparing yourself for securing your dream, you’ll find yourself achieving it much sooner. Things won’t always be easy, but it will always be worth it.